With the comprehensive understanding provided by our training and certification courses, configuration, installation, integration and maintenance of Redline systems become as easy as one-two-three. The focus of every Redline programme is to provide operational and maintenance education and exercises to assist customers in maximizing the efficiency and performance of the Redline solutions deployed in their networks. In addition to the certification programme, Redline training also includes product familiarization and technology overview courses. The courses are designed to achieve an optimum balance between hands-on lab exercises and theory of operations for each Redline solution. View Courses Watch Training Videos Training Calendar Questions? Candidates will attend a 2-day hands-on training session and workshop on the applicable solution such as RCSA-RDL-3000, RCSA-RDL-6000. This course is offered onsite on demand. 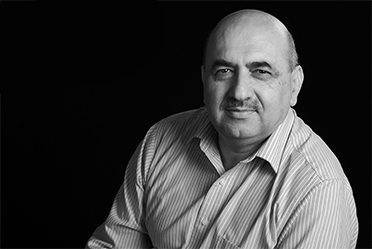 The pre-requisite for this programme is a very basic working knowledge of RF propagation, antenna parameters, RF transmitter and receiver performance metrics, basic parameters of digital modulations schemes (PSK and QAM) and a basic understanding of the TCP/IP network model with a focus on layer-2 (switches/bridges) devices. You can upgrade your certification to the RCSP level once you have successfully completed the RCSA certification. The RCSA courses can be customized to align as closely as possible to the learning needs of the trainees and customers. Candidates will write a certification examination within two (2) weeks of completing the RCSA course. An RCSA certification exam guide will be sent to the trainees on completion of the class. Candidates who pass the exam based on the requirements and related criteria will receive the RCSA certification. Those whose exam results do not meet the RCSA certification criterion will receive a certificate of attendance. The RCSA certification is valid for two years from the date of passing the RCSA certification exam. A recertification programme is in place for RCSA programme. The RCSP program duration is product specific in-class training and is three days RCSP-RDL-3000; two days for RCSP-RDL-3100, RCSP-ClearView and RCSP-RDL-5000; and four days for the RCSP-RDL-6000. Candidates holding the RCSA certification and interested in pursuing the RCSP programme should register for the applicable programme. The RCSP courses are scheduled on a monthly basis at the Redline Headquarters in Markham, Canada and published here. Additional sessions can be scheduled based on customer demand either onsite or at the HQ in Markham, ON Canada. The RCSP program is a higher level of certification that focuses on enabling trainees to acquire a Subject Matter Expert (SME) level knowledge of the Redline solutions along with the ClearView NMS. The RCSP training also covers the underlying technologies, applicable standards and performance parameters of the Redline solutions. Understand and participate in extensive hands-on lab exercises that will provide a knowledge base in order to support the Redline systems in the context of operation, handling different traffic types and applications. The program enables the trainees to configure the Redline systems for a variety of deployments and applications. Perform advanced levels of fault isolation and troubleshooting, expert installation and performance fine tuning at the network and equipment levels. The RCSP courses can be customized to align as closely as possible to the learning needs of the trainees and customers. Within 2-3 weeks of completing the RCSP course, candidates are required to write the RCSP certification examination. An exam guide will be sent to the trainees on completion of the class that will outline the RCSP certification criteria. The candidates that pass the exam will receive the RCSP certification. The RCSP certification is valid for one year from the date of passing the RCSP certification exam. A recertification programme is in place for RCSP. 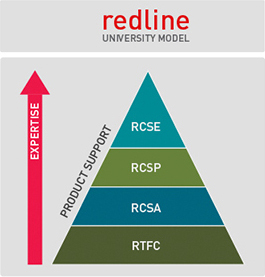 A candidate who has successfully completed the RCSP certification programme can proceed to the Redline Certified Support Expert (RCSE) level for the respective product. You can upgrade your certification to the RCSE level once you have successfully completed the RCSP certification. Candidates attend the RCSE course at the Redline training facility in Markham, Ontario, Canada. The RCSE program duration is five days for RCSE-RDL 3000-RDL-3100, RCSE-RDL-6000 and RCSE-RDL-5000-5100-SA and three days for the RCSE-ClearView program. The RCSE program is offered only on demand and at the Redline training facility in Markham, Ontario, Canada. The RCSE programme is a specialized level of certification which focuses on enabling trainees to acquire a comprehensive and engineering level knowledge of Redline’s Virtual Fiber™, LTE, Licensed Backhaul solutions and ClearView NMS. This knowledge will include the underlying technologies, network integration and design criteria, capacity and RF planning principles, as well as advanced network and device configuration and troubleshooting for each product. This course combines extensive theory with advanced hands-on lab exercises. Acquire an engineering level knowledge of Redline’s Virtual Fiber™, LTE, Licensed Backhaul solutions and ClearView NMS system covering the technology foundations, networking, comprehensive link characterization and advanced interference detection and mitigation techniques, and troubleshooting at the device, system and network levels. On completing the RCSE course, candidates will write the RCSE examination. An exam guide will be sent to the trainees on completion of the class that will outline the RCSE certification criteria. The RCSE certification is valid for two years from the date of passing the RCSE certification exam. A recertification programme is in place for RCSE. Candidates attend non-certification course either in-class or a webinar. Product and solutions overview courses are normally offered as webinars, with duration of half-day to one day. However, the technology courses are offered only as in-class sessions unless there are reasons to believe a webinar will be effective and appropriate. The technology courses are from one to three days in duration. A number of technology courses are offered at different levels of candidate learning requirements, from very basic to the full standard specification levels. These courses cover primarily the MAC/PHY/RF aspects of the Redline technology. Product and Solutions Overview, available as half-day or 1-day course on all Redline solutions. Technology Foundation Courses at two different levels (basic and advanced) depending on the trainee learning needs. These courses cover basic of telecom, RF propagation and radiating systems and 3GPP LTE standard. Redline does not offer courses on networking. On completing the non-certification courses, trainees will receive a certificate of attendance.